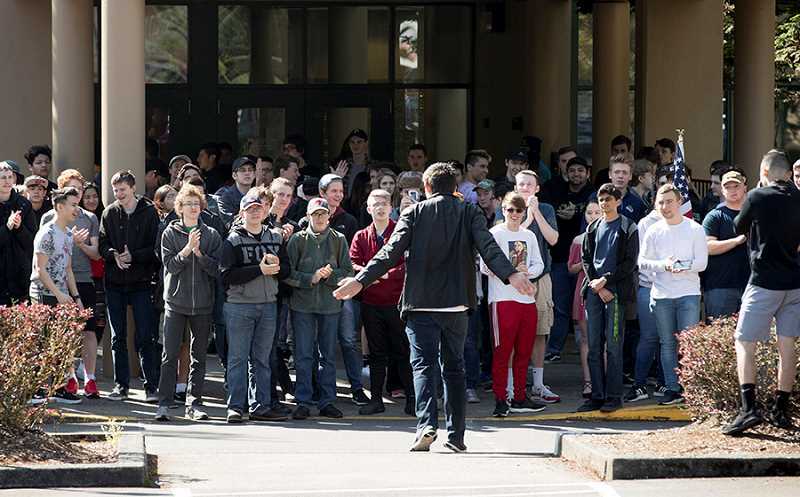 More than 70 Tigard Highs School students gathered outside the front of the school at 10 a.m. Wednesday to rally in support of the Second Amendment. The students were part of a larger nationwide walkout movement, dubbed "Stand for the Second," designed to oppose gun legislation and gun ban proposals. While the national walkout was the idea of Will Riley, a high school student from New Mexico, Bonifacio Yuzon, a sophomore at THS, organized the local effort. The event lasted 16 minutes, one minute less than the school's past two walkouts, according to THS's student newspaper, The Paw. The students, some carrying signs or American flags, listened quietly in front of the school before disbanding. 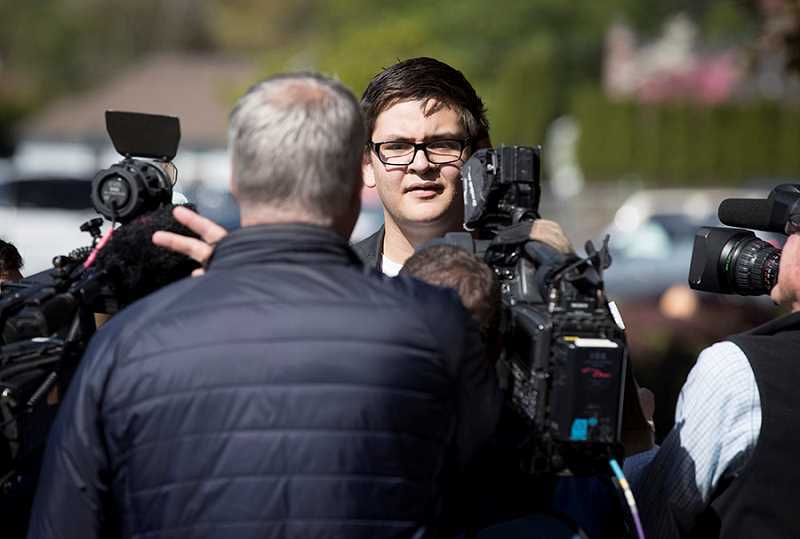 Yuzon then went out to the front curb to talk with print and television reporters, who asked what he hoped to accomplish with the walkout. "I feel like we definitely need more of a voice in society, given we can't vote. It's a great way just to bring attention to this all," Yuzon said. "This is on local news but this is a nationwide movement. Today over 400 schools are also participating in this walkout so it's guaranteed to make national news." Yuzon noted that, while high-power firearms have been available for years, school shootings have been a more recent phenomenon. He said he was against extensive background checks for weapons and limiting high-capacity magazines. One solution to school gun violence is to have more extensive mental health programs, Yuzon said. 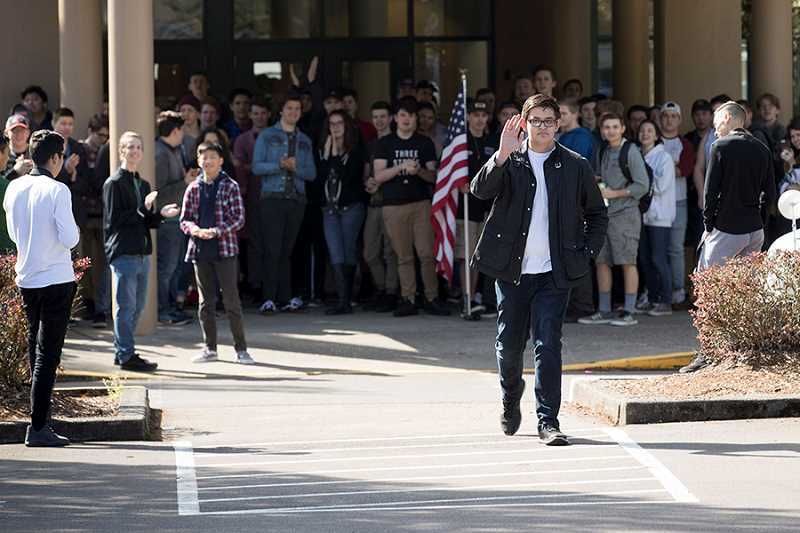 Tigard High and other local schools have previously held two walkouts: One to call attention for the need for stricter gun regulations in the wake of school shootings, the other in commemoration of those killed in the Columbine High School shootings in Colorado 19 years ago. Sherwood High School students held a smaller walkout in support of the Second Amendment last month. Yuzon said he finds there is a strong liberal leaning at the high school but said he was glad at the number of students who came out to show their support. For the future, Yuzon said he plans on writing opinion pieces on the Second Amendment and become more politically active.